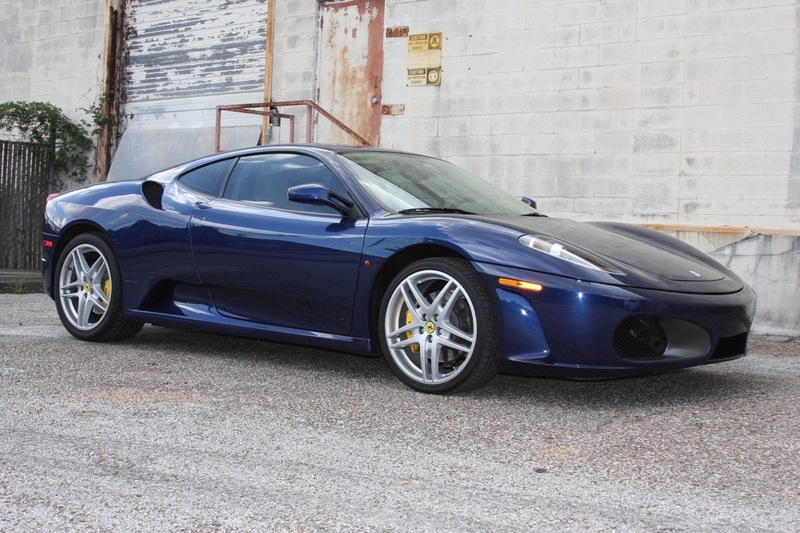 I am excited to offer this absolutely stunning 2005 Ferrari F430. 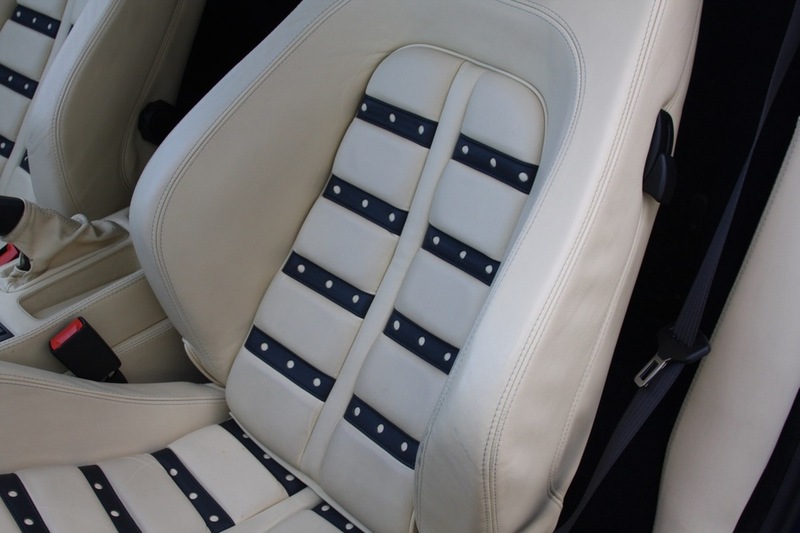 Resplendent in its elegant yet sporty and classic color scheme of Tour de France Blue over Crema interior, with contrasting Daytona seats, this F430 has only covered 14,636 miles. 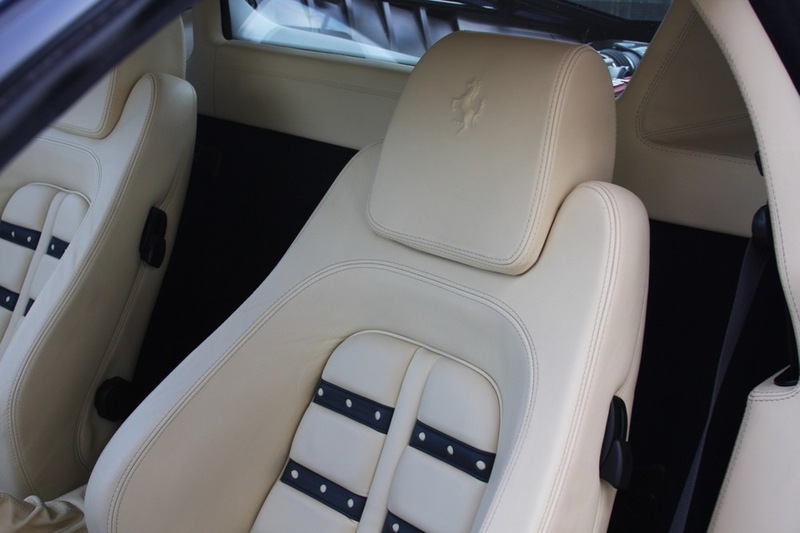 However, the most important feature of this car is not its colors, or its low mileage; it's what is sitting in the middle of its center console: a 6-speed manual gearshift in the iconic Ferrari shift gate. 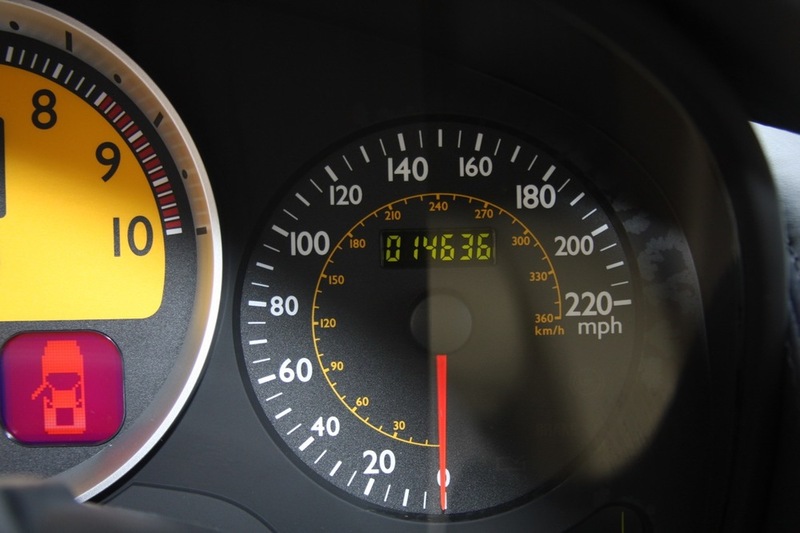 The commonly held wisdom is that less than 10% of F430s were ordered with the manual shift, because most buyers were seduced by the F1 automanual sequential gearchange, very high technology for the time. However, today, with most sports cars featuring a dual-clutch automanual, discerning drivers are increasingly seeking more involvement with their sports cars. 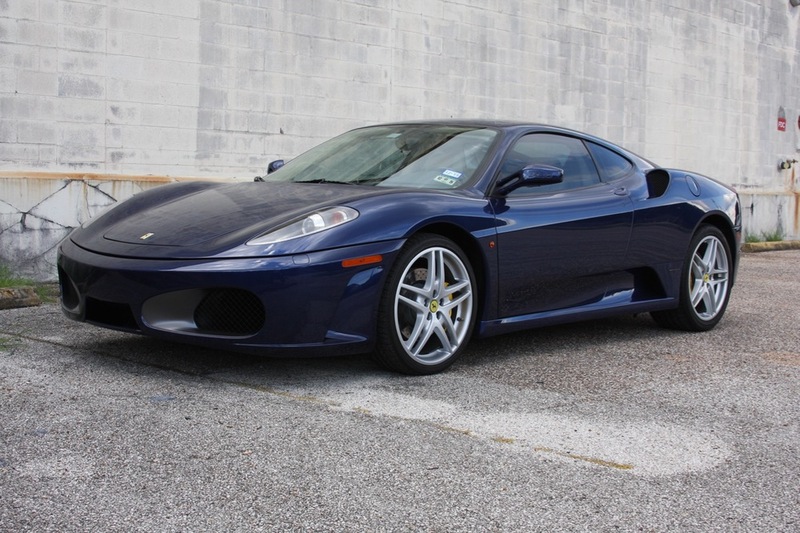 This F430 is on consignment from its owner, an enthusiast with multiple Ferraris in his collection. In fact, he sold a 458 to purchase this car, because he missed having a manual transmission in his mid-engine Ferrari. The condition of the car is excellent both inside and out; in fact, the owner recently had Cavallo Auto Salon do a full CQuartz nanotech paint treatment to preserve the beauty of the factory paint. 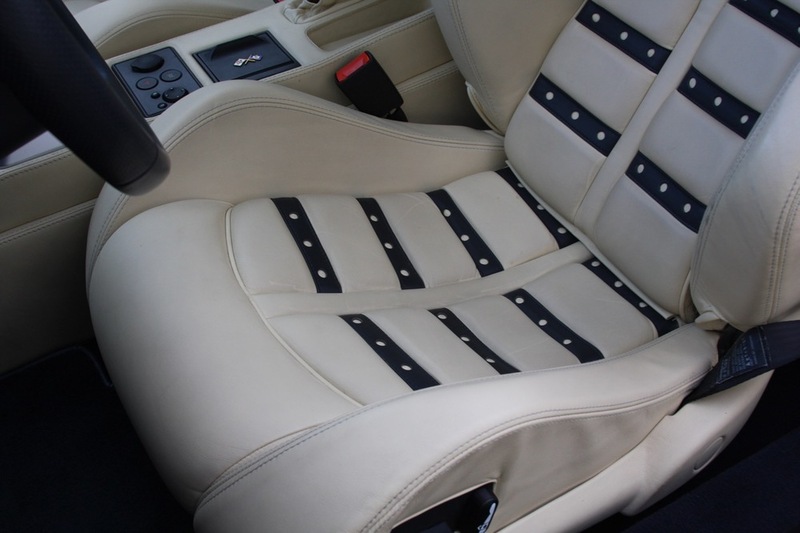 The interior is gorgeous with the contrasting black over the Crema leather on the Daytona seats, and the original owner specified aluminum trim instead of the commonly seen carbon fiber, which gives an elegant touch to the interior. I have personally driven this car, and it is an extremely solid F430. The steering is quick and accurate, the gearchange feels wonderful with the metal gate, the clutch feels brand new (which it is, having been replaced in 2013), and the engine sounds truly amazing. 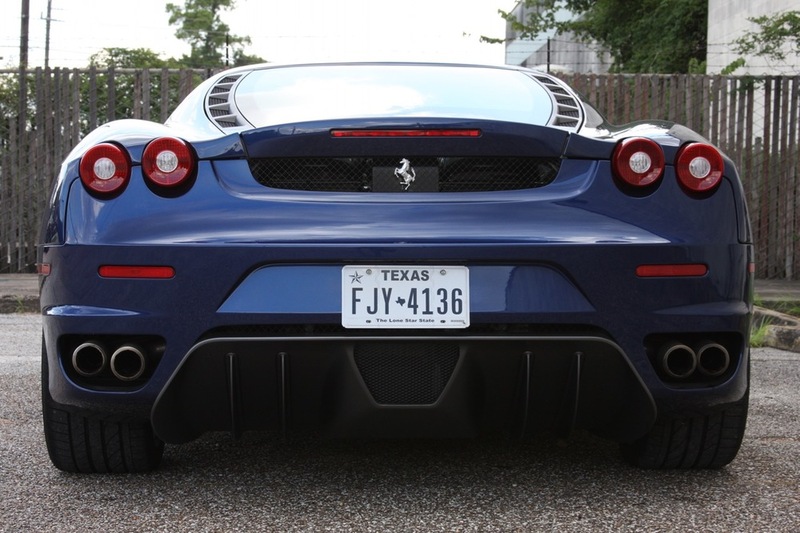 In the F430, I prefer the factory exhaust, which this car has, because it has the right balance of "growl" at low RPM and "scream" at high RPM, but most importantly does not drone at steady speeds. 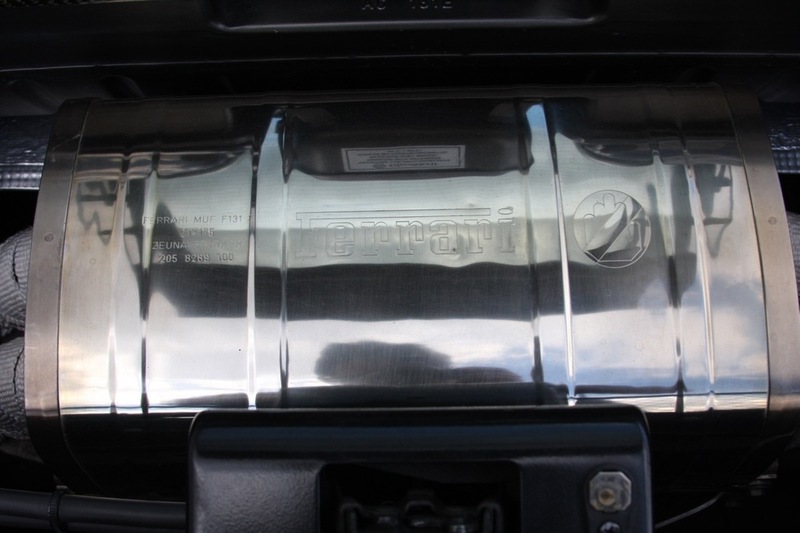 In fact, the only aftermarket parts on this car are the carbon fiber air intakes in the engine compartment, which can easily be returned to stock if the new owner desires. And, finally, all books, manuals, pouches, keys, and tools are present with the car. This car represents the last of the mid-engine V8 Ferraris with a true manual gearshift and clutch pedal. In other words, if you want a manual Ferrari with the engine behind you, this is a very rare opportunity to acquire one, in a stunning color combination as well. I look forward to discussing this Ferrari F430 with you further; please contact me at michael@mbrandonmotorcars.com or 832-617-0494.